Pick Analysis: The comparisons with former Tech receiver and current New England Patriot Wes Welker are inevitable. Welker's success makes Amendola's slot receiver skill set more attractive to NFL scouts than ever. He'll likely test better in straight-line running drills than Welker did coming out of college, although he is not as strong or explosive with the ball. 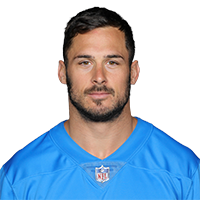 At any rate, Amendola made his own name as a second-team All-Big 12 receiver in 2007 with 109 catches for 1,245 yards. He also returned 116 punts for 1,283 yards (11.1 per) and a score in four years with those duties.